Arvada, Colo., with a population of roughly 108,000, faces the same challenge as many public sector employers — controlling healthcare costs while providing benefits. The city employs approximately 700 individuals and covers approximately 1,500 total members on its self-funded health benefits plan. By definition, a self-funded health benefits plan is one in which the employer assumes the financial risk for providing healthcare benefits to its employees. Self-insured employers pay for each out-of-pocket claim instead of paying a fixed premium to an insurance carrier, which is known as a fully-insured plan. Arvada needed a differentiated solution to address not only the employees, but their dependents as well. A traditional onsite clinic was not an effective solution to consider, as onsite clinics do not address the 60 percent of costs associated with their membership and do not drive down costs as effectively as total population health management. 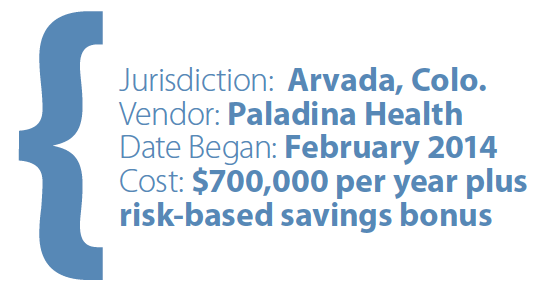 In February 2014, Arvada officials decided to move to a self-insured health plan and redirect outpatient and specialist services to lower-cost providers with coordination of those services through Paladina Health’s Medical Home. 68.5 percent of companies in the United States that have 50 or more employees have self-funded insurance plans. 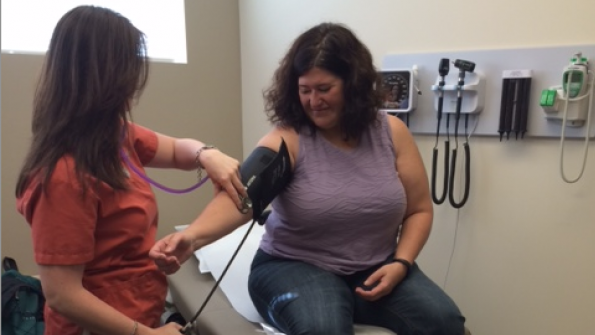 By moving to a self-funded plan, Arvada was able to expand access to care in a lower-cost setting that can serve 85 to 90 percent of employees and dependents. Health needs are met by physicians who provide 24/7 access through a near-site clinic, and unlimited mobile and email access. These physicians also provide wellness coaching and proactive chronic disease management, in addition to primary, preventive and urgent care services. Within three months of launching its new plan, nearly 50 percent of all eligible employees and dependents had enrolled, and after surveying the group, 68 percent felt their health had somewhat or significantly improved. Arvada continues to pursue its goal of reducing healthcare costs by $1.3 million in the first year, and to hit a three-year return on investment of $3.4 million. “You have to have the courage to say we just have to do this. We said we can’t keep doing what we’ve been doing because it’s not working, and we can’t just keep tweaking the plan. We have to go bold and have the courage to commit ourselves to a new idea,” says Arvada City Manager Mark Deven.